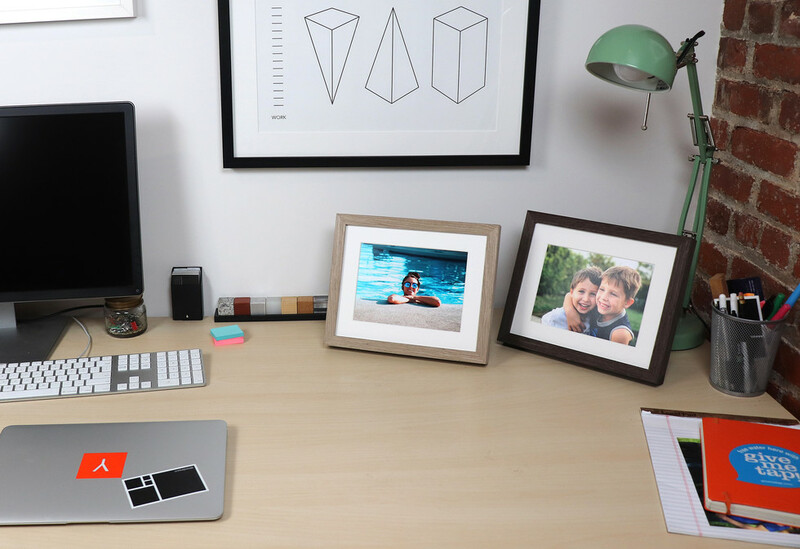 Today, we're launching a new line of tabletop picture frames to keep your favorite people and moments in easy view on desks, shelves and tables. 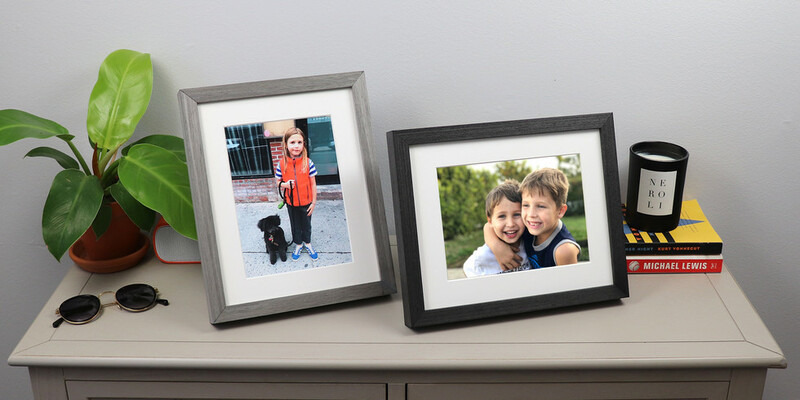 Simply upload your photo and we'll expertly print and mat your picture inside this versatile, 9" x 11" frame that stands on its own and can also hang on the wall. Our new tabletop editor makes it easier than ever to upload a photo and beautifully frame it -- all within a few clicks or taps. We've curated five new profiles to compliment any of photo you'd like to print and frame. Choose from Cloud Gray, Espresso, HazelnutSandstone, and Slate Black. We didn't shortcut on quality or craftsmanship, but decided on pricing to make it super easy to frame photos in pairs and sets, build out an epicgallery wall, or take care of your holiday gifting in one shot. That's why your first tabletop frame is $49, and each additional tabletop in the same order is only $39. We take special care in printing your photo perfectly on Professional 240g Photo Paper with a lustre finish and showcasing it inside a 5" x 7" mat window. 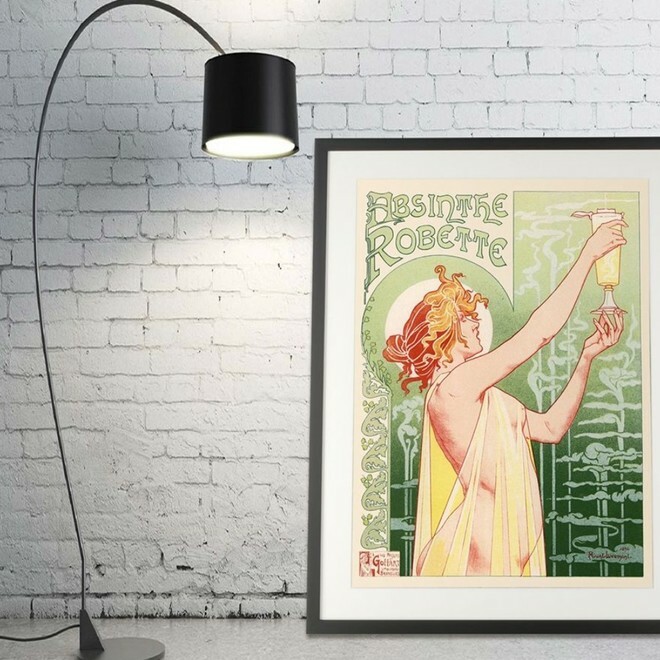 Each custom frame is made to order using archival, museum-quality components. Our new tabletop works for portrait and landscape photos, stands on its own with an easel and can also hang on the wall with built-in sawtooth hanging hardware. The outer frame dimensions are 9" x 11".